Syster Sussie is a certified nurse & licensed medical Podiatrist. The foot care clinic offers a wide range of treatments against warts, corn and ingroing toe-nails. 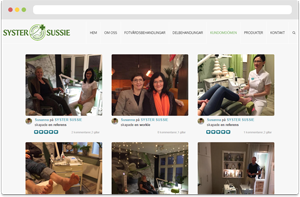 The place is South Sweden’s only foot care clinic that provides laser therapy against nail fungus. 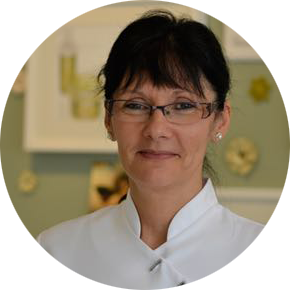 We put a few questions to the owner, Susanna Nyberg about what does she think about reviews and testimonials in her industry, and how the visual testimonials tool Aajoda helps her in her daily work. Why did you choose to start using Aajoda / visual customer testimonials? – To increase revenue, the information value for the clients and to save time for myself. Now I don’t need to log in to my website and social media channels separately anymore. It goes out automatically and it looks good. What was your problem before and how did Aajoda helped solving it? – The lack of time and knowledge to create trustworthy testimonials on the internet. Now I can take one or more before/after pictures, wirte a short text and then it’s just ready. An advantage is also that I can do that during the treatment when the customer is sitting in the chair. With a button click, my client is asked to share his experience. It’s also fun and the relationship with the client becomes stronger. – Yes, my customers gave a positive response through the fact that they feel I have “overall case reports” which makes it easier for them to choose a specific treatment. The references also give trust new clients. I think that it attracts attention and makes customers contact us. Are you satisfied? Would you recommend Aajoda to other clinics? – Yes. I already started recommending the tool to people in my network and industry.